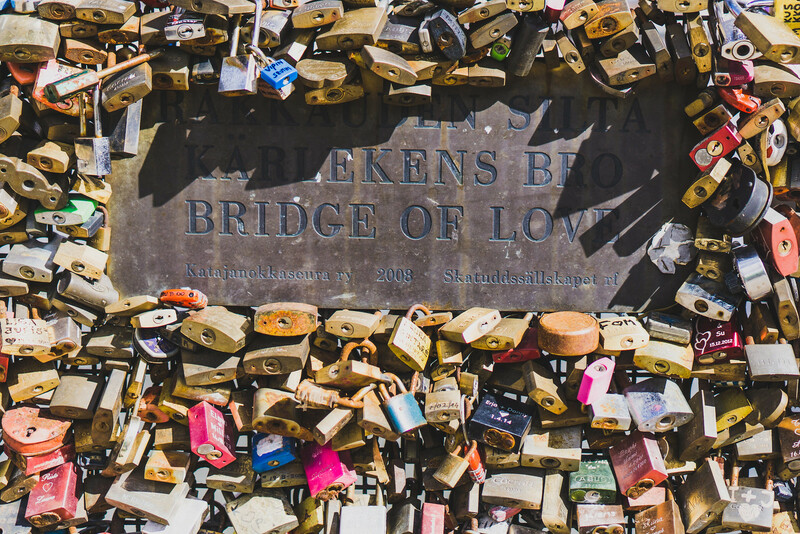 The Bridge of Love in Helsinki. This is just down the road from our hostel, and we cross it every time we go out anywhere. 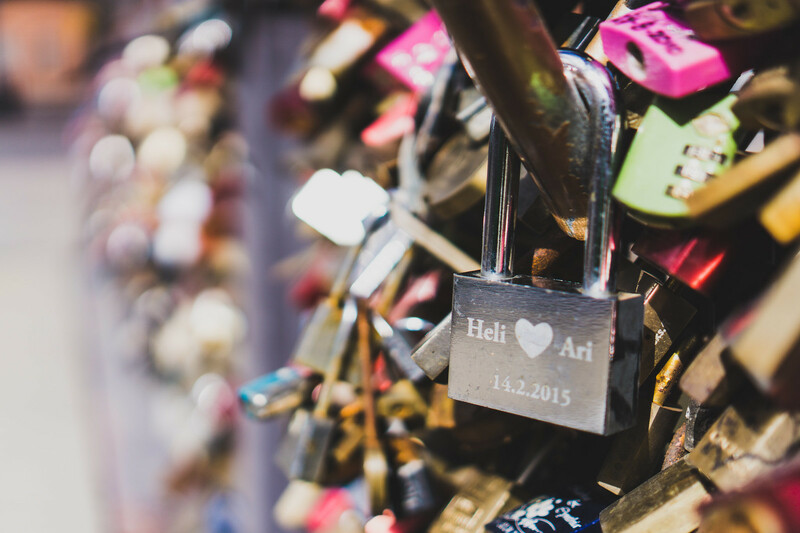 Couples write their names on a padlock and lock it to the bridge, then throw the key into the river below. I liked this one in particular, because it was attached to a bike D-lock.